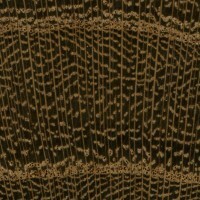 Color/Appearance: Heartwood color ranges from an orangish brown to a darker violet brown, darkening with age. 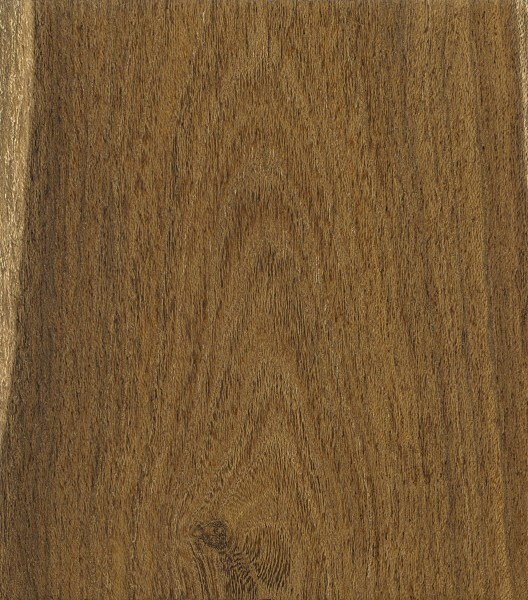 Clearly demarcated sapwood is a pale yellow. 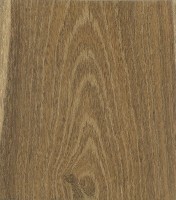 Laburnum’s dark color make it suitable for use as an ebony substitute, particularly within its natural range in Europe. 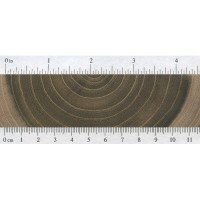 Wide rays can exhibit ray fleck on quartersawn surfaces. 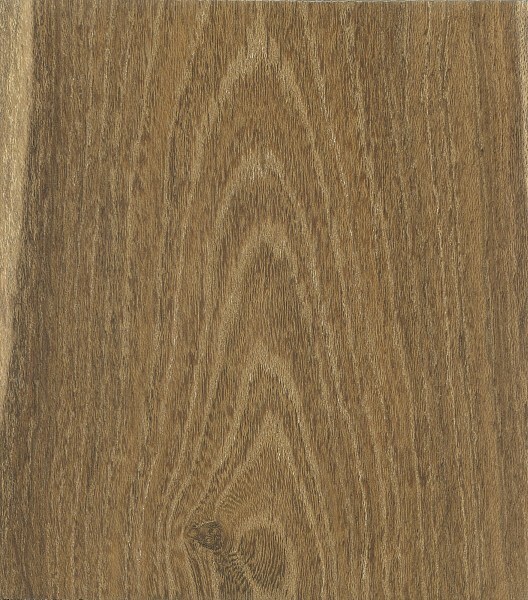 Endgrain slices of Laburnum are sometimes used in making a decorative “oyster veneer” pattern for use in furniture. 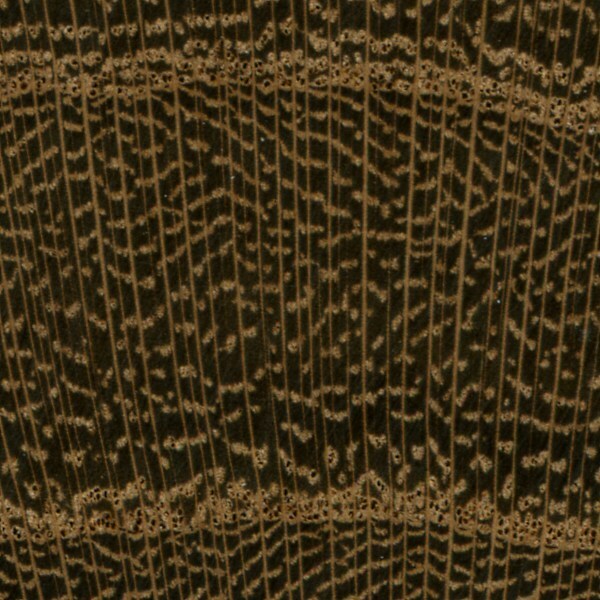 Grain/Texture: Grain is usually straight, with a fine, even texture. Good natural luster. Endgrain: Ring-porous; large earlywood pores 2-3 rows wide, medium to large latewood pores in clusters and diagonal tangential bands, moderately numerous; solitary and radial multiples of 2-3; heartwood mineral/gum deposits occasionally present; growth rings distinct; medium to wide rays visible without lens, spacing wide; parenchyma vasicentric and confluent. 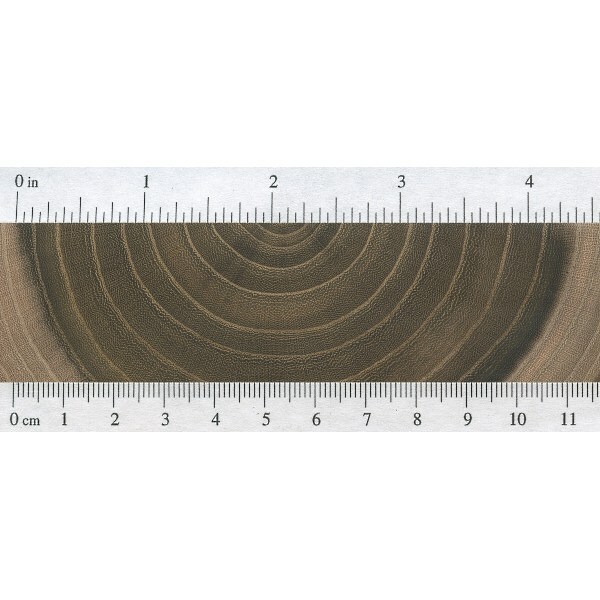 Rot Resistance: No official data is available, though it is presumed to be quite durable as it has been used for fenceposts. Workability: Despite its high density and hardness, Laburnum is generally easy to work. 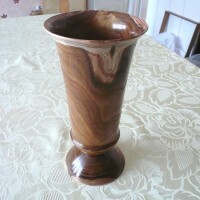 It is known to be an excellent turning wood, and is also favored for carving as well. Allergies/Toxicity: Although severe reactions are quite uncommon, Laburnum contains the toxin cytisine. Taken in large quantities, cytisine can be fatal; however, in smaller quantities (such as those inhaled during woodworking operations), constitutional effects have been reported, such as nausea, vomiting, and headache. See the articles Wood Allergies and Toxicity and Wood Dust Safety for more information. Pricing/Availability: Because of the tree’s small size, Laburnum is likely to remain available only on a small hobbyist scale. 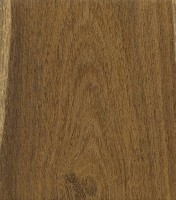 Laburnum is primarily only available within its natural range in Europe. Common Uses: Turned objects, musical instruments (woodwinds), furniture, veneer, fence posts, archery bows, carving, and small specialty wood objects. Comments: Laburnum is widely planted as an ornamental tree throughout Europe. It sometimes goes by the name “Golden Chain,” so named for its vertical rows of yellowish gold flowers that bloom in the spring. I am hoping you could help, my partner has been given some Laburnum and wanted to make some cake stands out of it but needs to know if it could be treated and if so what with to make it safe for culinary use. I am hoping you could help. 1) a THICK layer of transparent resin , look for food grade and mildly heat resistant polyester, urethanes or epoxies, self leveling of course, very easy to apply, often used in bars and restaurants for countertops to see the wood through. 2) Don’t bother with the finish type, use the one you want even if it’s not food safe, but just be sure to put your cakes on food compatibles plates/platters which will be placed on the wooden stands , silver platters would be very nice on a laburnum stand for example.